← Previous Previous post: Does Yarra Trams think we’re all nine feet tall? Next → Next post: Myki myths 2: Everybody always has to touch-off, every single time, or they’ll be penalised – Nope. Being magnetic and everything, isn’t that because you’re supposed to hand them from a magnetic wall-mounted rack, and not in your cutlery drawer? I wasn’t aware potatoes stuck to magnets. ;-). @Oz, yeah they could go on a magnetic rack, but I’d have thought most people would save rack space for bigger things like knives, not space-inefficient potato peelers! Knives are potato peelers. Knives are universal peelers, really. 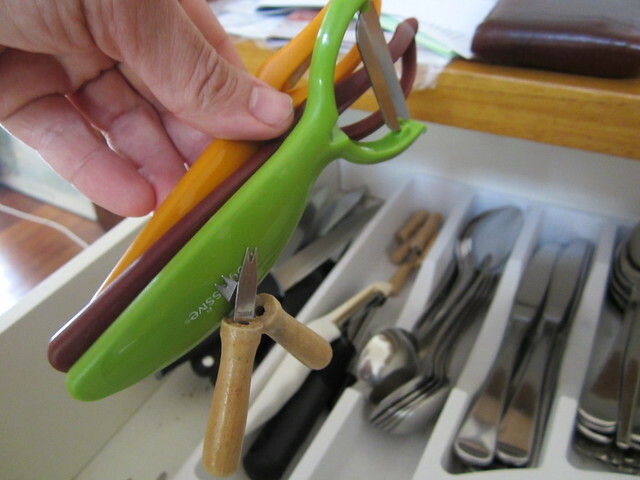 If you’ve got a magnetic rack there is no need for the items to have magnets inside (like this peeler. They just need to be magnetic in the sense that they stick to magnets.